As visitation numbers continue to rise what is impact on visitor experience and resources? Despite stretches of inclement late spring weather, Yellowstone announced that it just experienced the busiest May in the history of the 146-year-old national park. The 446,875 visits in 2018 represent a six percent increase over the 419,635 notched last year during the same time and broke the former all-time record for May which was 444,630 visits recorded in 2016, the year of the National Park Service Centennial. Overall for the year, nearly 571,000 visits have been made to America's oldest national park, a 3.5 percent rise over 2017. To put it in perspective, that's a 37 percent rise over five years ago in 2014. Apart from the statistics, there remains the obvious questions that must be, and often are not asked: What's the endgame of rising visitation? How much is too much? Have the thresholds during peak summer season already been surpassed so that visitor experience and resources are being negatively impacted? Should the state tourism offices in Wyoming, Montana and Idaho continue to spend taxpayer money promoting Yellowstone National Park as a summer destination? 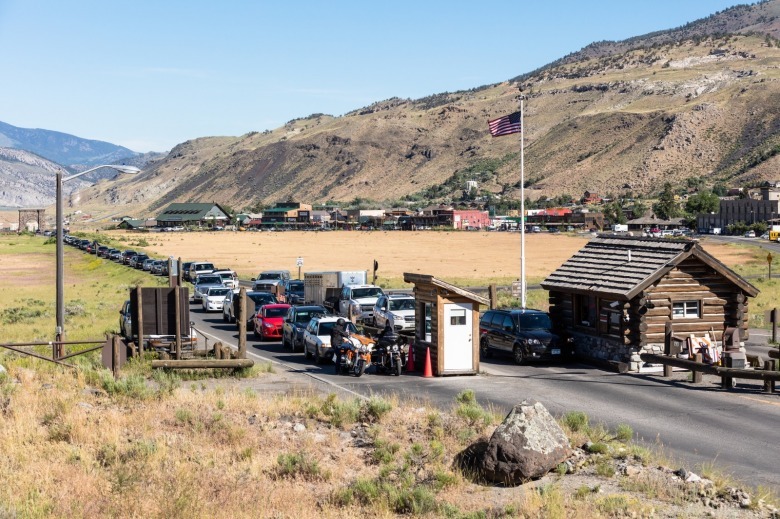 When—and if—a cap on summer visitation is proposed, and there is the inevitable pushback from retailers, where will politicians come down in justifying commerce over protecting resources that form the very basis for the tourist economy? In a release issued Friday, June 8 announcing the record numbers for May 2018, Yellowstone stated, "The continued high level of visitation in the park underscores the importance of planning a Yellowstone adventure ahead of time. Visitors should anticipate delays or limited parking at popular destinations, and check road conditions on the park’s website before they arrive." How visitation numbers are calculated can be viewed here, at the NPS Stats website.